I've been a huge fan of the Final Fantasy series since I first played Final Fantasy VII and have played every game released since. I wasn't overly impressed with Final Fantasy XIII so I had been hoping that the trailers I had been so excited about over the years, wasn't going to let me down. I can confirm that its graphics and game play have exceeded them by a mile. I'm currently only 15 hours into the game (the main campaign is 40 to 50 hours and with all side quests there's 100 hours of game play. It's huge) so there won't be any plot spoilers, but Final Fantasy XV plays like a completely new game from anything else in the series. It now has an action based real time combat system, meaning that the usual attack, defend and item use is all controlled by the user in the heat of battle and it has gone away from the use of magic in a big way. This doesn't effect the game in any way at all, as it feels as if you need to use your magic in more serious situations which I love. Taking part in the world of Eos, you control main protagonist of the story, Prince Noctis Lucis Caelum who is the heir to the throne of Lucis and the only Kingdom in Eos that isn't under the control of the Imperium of Niflhiem. 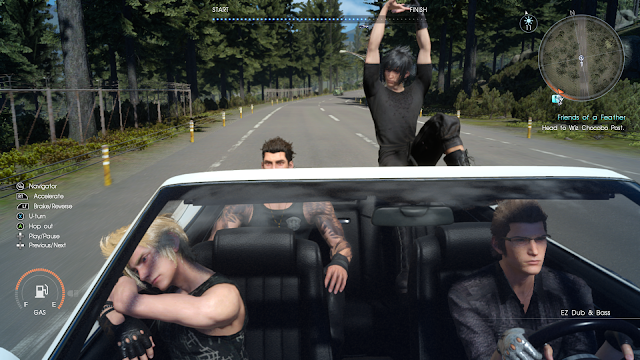 During a time when a truce is called between the two warring nations, you take control of Noctis who along side his friends Gladious, Ignis and Promto are on their way to marrying the Oracle and childhood friend Lady Lunafreya Nox Flueret. The truce turns out to be a decoy and the Kingdom of Lucis is then invaded by Niflheim, the gang must work their way through the vast world of Eos until they can return home. The story so far has been insanely good, from the twist's and turns you expect from Square Enix to the change in combat and the return of some well loved Astrals, (or Aeons if you have played previous games) but the thing that has really helped make this game, is the fact that the four childhood friends and companions are all perfect. 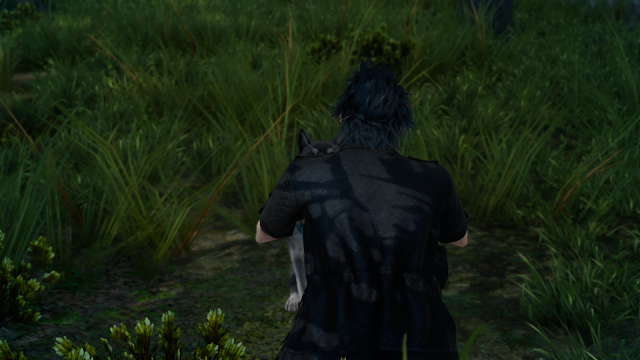 Gladious Amicitia is Noctis's body guard who hold's the honour of his family being the shield to the royal family. Gladious has strength for days and will try to soak up the most amount of damage received (so never stay too far from him) he is a survival expert who maybe seen as a meathead, but in actual fact the joker of the group and most laid back. His weapon of choice is a double handed, double edged sword. Ignis Scientia is completely different in personality compared to the rest of the group above. Ignis is the tactical adviser to the royal family and as such, he's a lot more serious in personality and has to plan out their next steps ahead of time. Ignis is also the group chef who is able to find new recipes that provide helpful boosts over time. 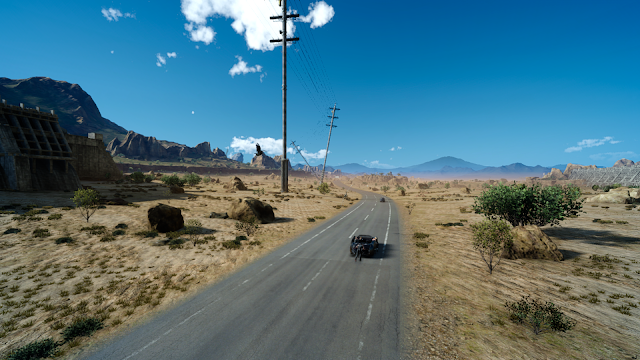 Ignis uses a pole arm for an offensive weapon. Promto Argentum the fourth member of the group is fun and happy go lucky and loves to take photographs of the story that the group take and will spot perfect pictures to take whilst you are driving around in the Regalia. At the end of each day or when you camp up, you're able to save or share the best ones he has taken,. It's a nice touch to join the community together. Promto is a master with a pistol. You have ways to improve your party and increase their effectiveness in battle, by using the Ascension Grid. Working similarly to how it worked in Final Fantasy X, you gain Ascension points (AP) and use this to improve area's that you feel are most beneficial to your party. I have so far gone down the team work route to improve my combat effectiveness. The final thing I love about Final Fantasy XV so far ,is the fact that there are Chocobos. Chocobos are one of the staples of the Final Fantasy series and are giant birds. 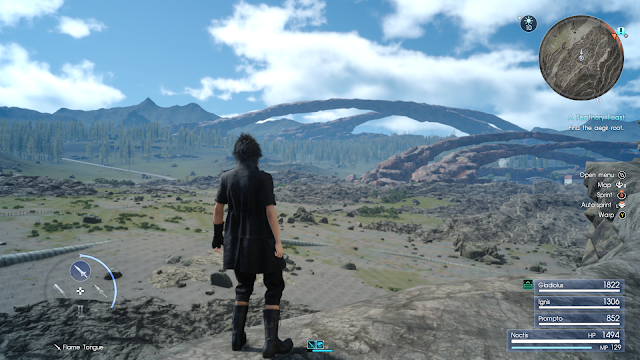 In XV you get the opportunity to ride them and explore the open world map. You also get the opportunity to customising and there's a variety of colours that you can pick from, trophies to attach to the Chocobos and you can also name them as well. 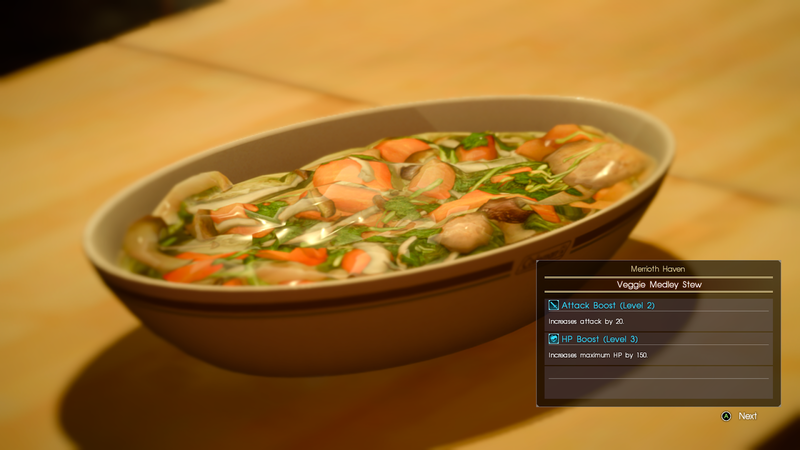 It really gives them a lot of depth to lose yourself within, there is also the opportunity to play one of Final Fantasy's best mini-games. 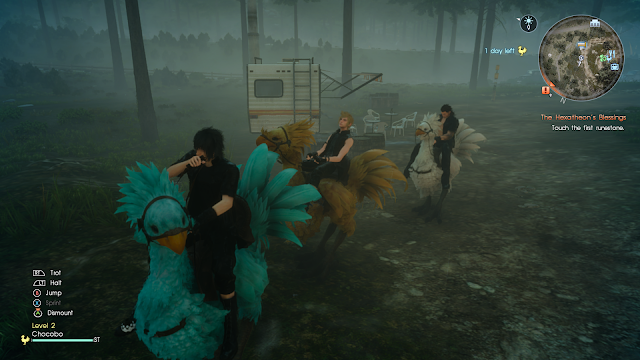 Chocobo Racing. I absolutely love this game and I honestly can't wait to get further into the story. It has me hooked and can't wait to play it some more. What are your thoughts on Final Fantasy?